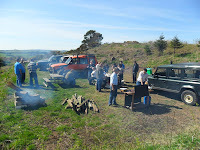 Our Club Autumn BBQ is this weekend Sunday 25th Sept at 12.30 on the hill at the clay shooting area. I will provide some grub, sausages and burgers with rolls, please bring you own drinks and anything else you want. Could you please let me know if you are attending so we can buy the appropiate ammount of food. 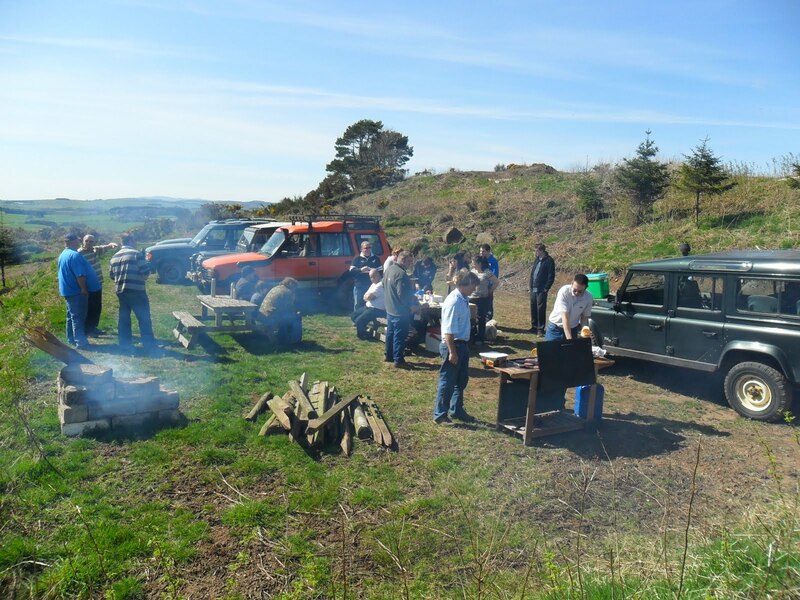 Pic is of the balmy day we had for our Spring BBQ. 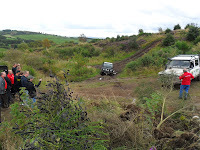 The site is super at the moment with the rain making the newly cleared tracks very slippery. Here's hoping for a sunny day on Sunday and Scotland beating Argentina!! 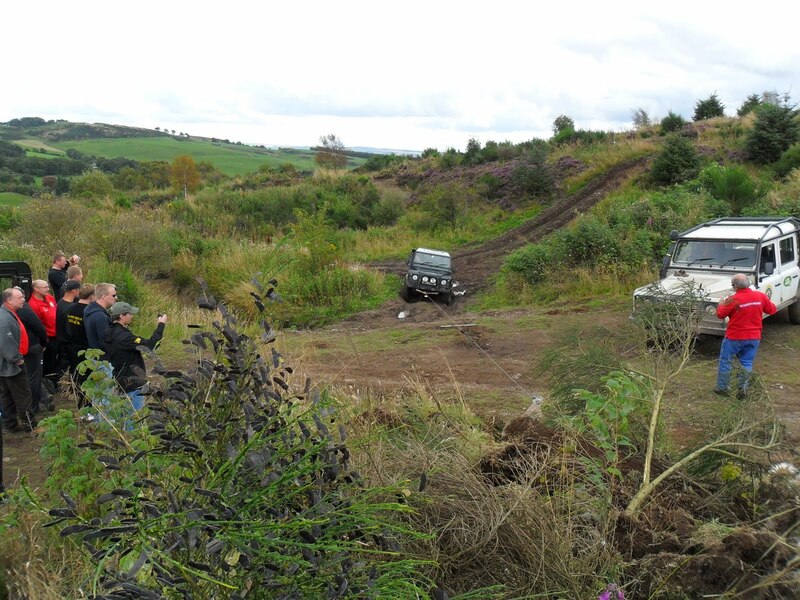 We had 22 Norwegians here today for a fun 4x4 day out, pic shows a winching demo for them. 2nd pic is of the Scottish Mud Club, who visited recently, gathered on top of the site looking out to the East Lomond hill. 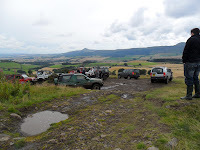 We are now finished the holiday period so will try and post a bit more often. Sorry been lazy during August! !